SmiteMatter began making electronic music using a iPod Touch in May 2009. It was immediately inspiring and quickly led to becoming a favored tool for his music production. Embracing the challenges and benefits of the relatively new technology was effortless. Recognized as one of the early iOS music pioneers, SmiteMatter has been a steadfast believer taking full advantage of the new world of options. As the technology changed with the introduction of the iPad, there was no looking back. 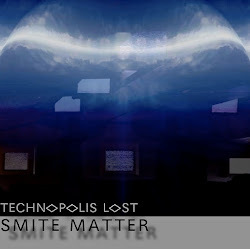 SmiteMatter completed his first ambient electronic music, album called “Technopolis Lost” which was released October 2011 by FatelessFlows Records. SmiteMatter continues to make unique electronic music focused on his love for ambient soundscapes. Always exploring sonic realms, he employs numerous synths to create audio stories that surround listeners in interesting layers of lush and melodic scenes. 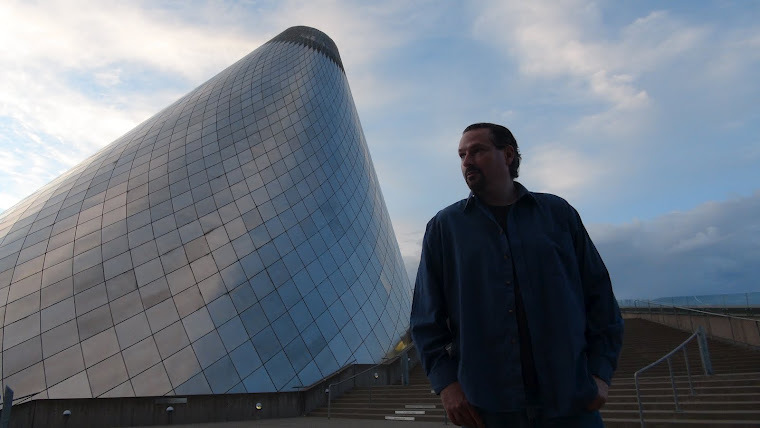 Much inspiration is taken from the local geography in Washington state. Mt. Rainier has been a constant source of inspiration. SmiteMatter is respectfully influenced in part by early Tangerine Dream, Klaus Shultz, Steve Roach, Mark Isham, Vangelis, to name a few. SmiteMatter is currently working on a new album called “Chapters”. After several delays due to many obstacles, it is nearing completion and will be released a little later than expected. The official date is undecided, but should be expected to be released finally after the 2014 New Year. It has a bit of a personal touch being a concept piece about people who for better or worse left life changing impressions. Not dedications, but a kind of musical set of cherished or difficult memories. Click HERE to be directed to CDBaby.com to purchase music from “Technopolis Lost” Full album, individual tracks, or get a physical copy of the CD. It is also available at iTunes, Amazon.com and many more online digital music retailers. We have just released a new music making application called Hip Hop Box ( https://itunes.apple.com/app/hip-hop-box/id870989404 ). Hip Hop Box allows anyone who is interested in Hip Hop music to make professional sounding tracks in a few minutes with minimal previous knowledge. It would be great if you could look over it and possibly review it. Thank you. Hello, my name is Saveliy and i like how you make reviews for music apps and share your love to iOS as rich platform for this kind of software. Yesterday is a good day for me, my first app hit AppStore and its music app. Deregulator its a Audiobus compatible mini-processor with randomisible parameters for Echo, Delay and Reverb. Deregulate sound flows is her superpower. I make some test-recordings playlist on soundcloud, but now i have’t ability to make video about my app now and i remember how cool is to watch your reviews. Well, if you find Deregulator useful or at last fun i’l be happy. PanStage is an amazing app! Please msg me for the promo code if you find it interesting. I’m user to make music with iPad and Apps and I find you on the web. Nice to meet ya, thanks a bunch!